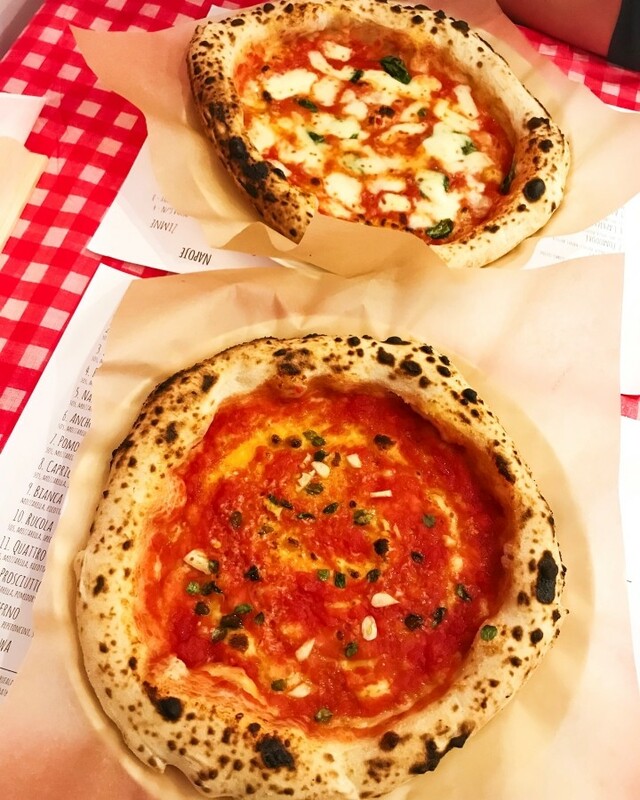 Every single person in the world must have had faced the notion of “pizza”, however the glorious concept of “Neapolitan pizza” is still unfamiliar to most of us. And remember, that this is where it all started! Not longer than a couple of years ago, the concept of Neapolitan pizza what something utterly exotic for Polish people. Poles used to believe that the original, “Italian” pizza should be based on thin and crispy crust. As a matter of fact, that is not true, as Italy presents a whole variety of different pizza types. I don’t think I can list how many times I’ve faced negative and completely unfair opinions on Neapolitan pizza in Poland, saying that such “wet” and “burnt” crust with a droopy centre can not be named as a “pizza”. And of course, vast majority of customers complained on the lack of their beloved garlic sauce. Despite this awkward situations based on the certain lack of knowledge of polish society, Neapolitan pizza is starting to rule culinary market in Poland, resulting in slight increase of awareness (for example: look at my IG followers)! We are fighting nobody, we just want to affirm our ancient traditions. We are against the cultural and commercial deformation of our pizza and against its industrialization; in fact, the ready-to-eat and frozen pizzas sold in supermarkets have nothing to do with the original ones. 1.Pizza is an artisanal product, so it could be slightly different from pizzeria to pizzeria. 2.The dough is made with just water, salt, yeast and flour and is left to proof for at least 8 hours. 3.The disk of dough is stretched exclusively by hand. This technique moves the air from the centre outwards so that the edge stays more puffy and will form the crust with the cooking. 4.The products used have to be preferably from Campania. 5.The pizza must be cooked in a wood-fired oven, and not using a baking pan, for 60-90 seconds. 6.The pizza should be round, with a diameter non greater than 35 cm, the crust has to be puffed up, while the center has to be max 4 mm thick. If you want to know more about their theories just visit their website – you can also download their decalogue. What is more, Associazione Verace Pizza Napoletana certificates various restaurants that meet their requirements. 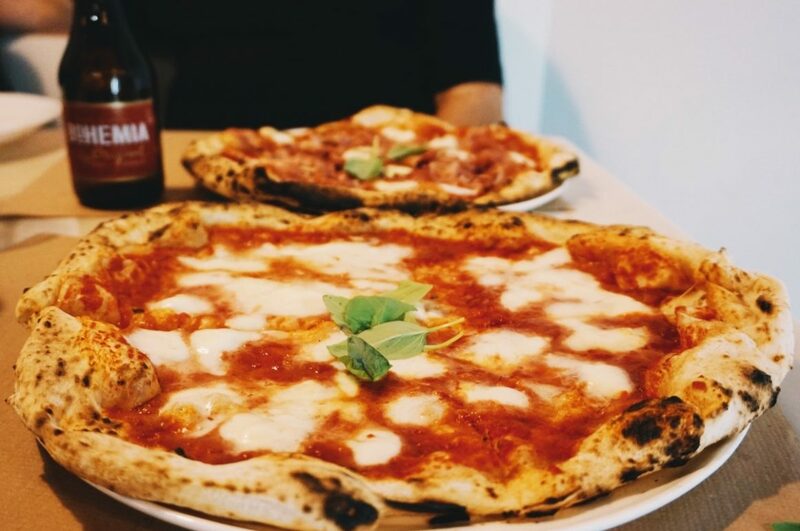 Speaking colloquially, neapolitan pizza is irregularly shaped, consists of thin, “wet” centre, with a puffy edges, a few burns and bubbles. 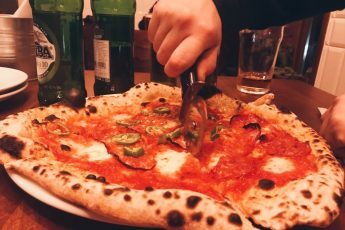 How to find a good Neapolitan pizza? Order Margherita! She will easily help you to verify the quality of dough and ingredients. If you decide that it tastes perfect and nothing could be better – you probably found a great pizzeria. Here, on the official website of Gino Sorbillo Pizzeria you might find an image of what a true Neapolitan pizza really is. 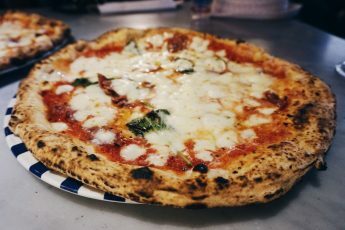 Another fact that should help you understand the seriousness of Neapolitan pizza is that in December 2017 it has been enlisted in UNESCO world heritage list. Impressive, huh? 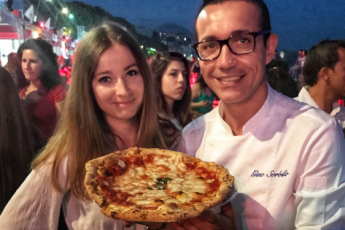 Are you looking for best pizza in Naples? Check this article! 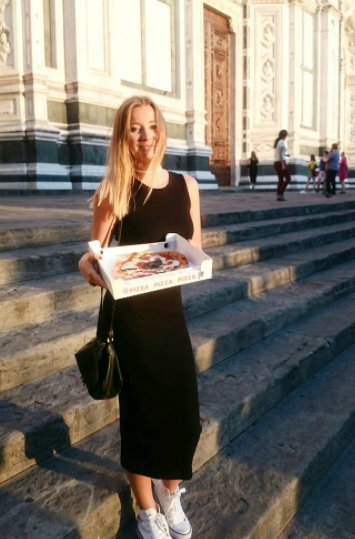 And follow my full of pizza Instagram account!